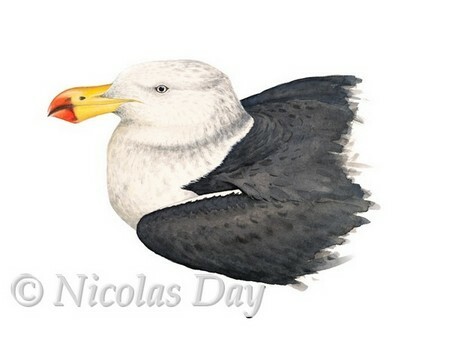 Pacific gull print from original painting by Nicolas Day. This gull is found around the southern half of Australia. It generally never moves far from the coast. Maturity is reached after several moults over five years. 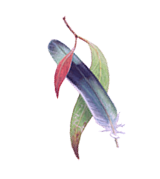 Very young birds are dark brown and the plumage, bill and feet gradually aquire the adult colours. This bird was found on a jetty and was unable to move, but with care it steadily recovered. During its stay I made many sketches, and this water colour study as it rested. It was released on the sea after I found it standing on an armchair back in the studio one morning. Printed on a sheet with a generous white border for handling and framing.